I’m working on an article for RH Reality Check about the lack of class perspective in the home birth debate. It seems to me that much of the discussion about home birth (and other alternative birth options) are framed in the terms of consumer choice, which doesn’t take into consideration those who can’t make that choice, or don’t have that option (for reasons of insurance, money, providers, home environment,etc). I wrote about this a while back when the NYTimes had that story about home birth that seemed to only feature wealthy white women in NYC. I’m looking for doulas, midwives and other birth advocates/activists who have experience with home birth and thoughts on this issue. Please email me at RadicaldoulaATgmailDOTcom. I read your piece earlier on this subject, and while not a birth educator or doula, I have sort of become a bit of an activist through planning my own home birth. There are SOOO many race and class issues in this, as I have talked with women who DID want a different experience while birthing their 1st, 2nd and 3rd children but could not afford to pay a home birth midwife out of pocket. Many of of them knew they weren’t getting the prenatal care or birth they wanted in the clinic/hospital setting, many of them didn’t even know such things as home births were possible. The range of stories was evidence to me that having the time to research, the confidence/education to advocate for one’s self and the resources to make an “informed” choice are all wrapped up in class, race & language. In our community, most of the home birth midwives will work on an extreme sliding scale to provide care for families of all income levels. After hearing insurance horror stories of how hard it can be to get covered for pregnancy-related things, it seems to me that home birth and midwives (depending on the usual fees in the area) would actually be more affordable than a medical experience. I wish that the “homebirth debate” could be phrased in terms of affordability as well as safety and health. I know personally of several single mamas who birthed at home for no charge or very low charge, because the midwife in question wants all mamas to have a safe and satisfying birth. Hi. I am writing a term paper on sterilization abuse on Mexican origin women. Do you know where I can find information about or how I can access files for this case online? I completely agree, class plays a huge part in this debate. While not specific to birth, this was something I was constantly frustrated by as an educator (when living at home – aotearoa/new zealand). So often the removal of zoning, or the presence of private and/or independent schools was promoted under the idea of equality and choice, which is complete rubbish. The choices of wealthy white families are very, very different to those of working class and/or Maori and Pacific Is. families. In fact, they don’t have a choice to make in most cases. The single mother with three kids doesn’t have the ‘choice’ to drive across town to the school of her choice. Just as people with little or no medical coverage do not have the choice to birth at home as they simply cannot afford it. I absolutely support home birth and other alternative birth choices, however I think it is misrepresentation when we assume that all those women and families who choose to birth at a hospital are doing it because they have chosen to out of their wealth of options. This issue of class weighs heavy on me, and I am happy I found this site and thread, thank you! I am extremely passionate about womens birthing rights, and believe birth is best outside the hopsital for both mother and baby. What I rfeel alone and struggle with is the fact I am a lncome and single doula of color, and how mainly it’s only (mostly) white women who are middle class (even thouh many say they are “poor” but they are middle class) , who can afford a doula. I want to help low income women, alot, they need it. But I need to make a living, and so I don’t know how to deal with this. I know my mom had someone who was sort of like a governmental , free post partum doula, in the late 70s (Jimmy Carter reign!) who she said she just so loved. She was a poor, abused single mom on welfare, very young. 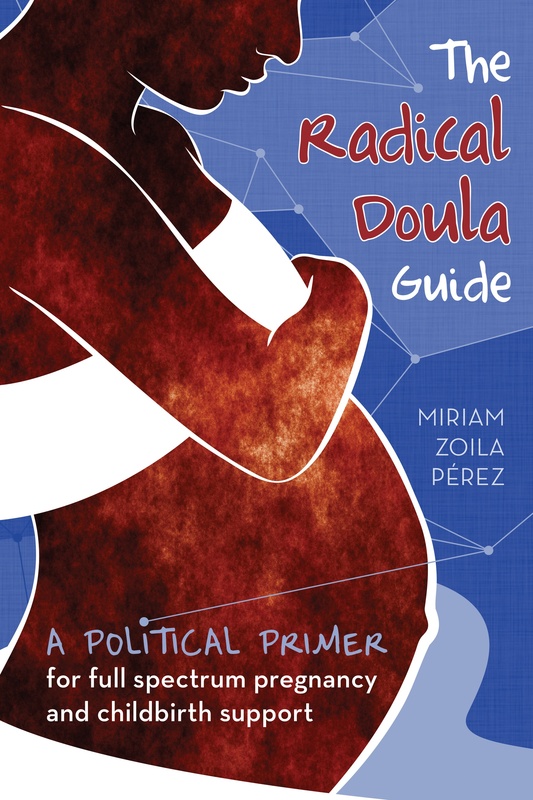 I wish I could be a doula for all kinds of women, I wish I could be a doula for poor women. I am SPENT being a doula, and barely make money at it, even charging what is condsidered a low , affordable price . Then comes in the issue of, if you don’t charge for it, you won’t be respected or valued and I must admit, I have seen this to be true too. I also knew a midwife who got out of midwifery after many years, primarily because she was so taken advantage of by people, they would not pay her or would pay her very lttle– mainly it was Christian families she provided midwifery for, mainly conservative CHristian groups (Mennonite and Amish– she was Mennonite). THese were mainly low income families, but it seemed like they just expected her hard work sometimes for completely free. She was a direct entry midwife. Ultimately she could not support her family, and felt quite used by families again and again, after doing all their pre natal, sometimes days at a birth, and postnatal. She was also an herbalist, a very wonderful midwife. She had a large family of her own to support, and was very low income herself as well. It was very sad to see her leave because she had a gift, but she ended up doing better working as a grocery clerk to support her kids than being a midwife. I think there is a tendency for people, both men and women, to use and begin to devalue the work women do (midwifery and doula work). But it is hard to balance this with the desire to help and serve birthing women, along with the desire to be valued for what I do. I really struggle with many aspects of this issue. I feel quite different from alot of the doulas I know who are mddle class. We share a love for birth culture, which is usually enough, but I have had difficult moments where I felt a very deep class divide, which can lead to feeling a race divide, sometimes, and sometimes it can feel very hard and isolating.